Key difference: Rosewood refers to the wood of different trees, including trees from the Tipuana, Pterocarpus and Dalbergia genera of trees. Rosewood is essentially a type of hardwood. Rosewood is named as such due to the fact that the older trees have a very sweet and rich aroma, which is reminiscent of roses. Rosewood is best known for its dark brownish and/or reddish hue with darker veining. The rose wood has close, dense grain, which makes it strong and durable. 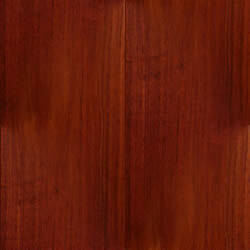 Mahogany is also a type of tropical hardwood. It has a straight, fine and even grain, which is free of voids and pockets. The wood is known for its unique pink coloring, which tends to take on a deeper reddish-brown hue over time. Rosewood refers to the wood of different trees, including trees from the Tipuana, Pterocarpus and Dalbergia genera of trees. These genera contain various types of tropical or subtropical leguminous trees that are most commonly found in Central and South America, Africa, Madagascar and southern Asia. Rosewood is essentially a type of hardwood. Hardwood is the wood that comes from an angiosperm tree. This is a type of tree that has seeds that are enclosed, be it in pods, a shell, a covering or in a fruit. For example, apples or nuts and seeds like acorns and walnuts. These types of seeds allow birds and insects to be attracted to the flowers of the tree and be able to carry the pollen to other trees. This is also the reason why hardwood trees are not often bunched together but are spaced apart and often have other trees in-between them. Most hardwood trees are also deciduous is nature. A deciduous tree is a tree that loses its leaves annually. Hardwood trees are also slower to grow, taking their own time. Due to this, most hardwood is dense. This is also the reason that hardwood is expensive, as it takes longer to grow. Some famous hardwoods include maple, balsa, oak, elm, mahogany, and sycamore. Rosewood is named as such due to the fact that the older trees have a very sweet and rich aroma, which is reminiscent of roses. This is especially true for the Brazilian or Rio rosewood. Rosewood is best known for its dark brownish and/or reddish hue with darker veining. The rose wood has close, dense grain, which makes it strong and durable. Hence, the wood is used for making furniture, especially cabinets. The use of rosewood to make furniture date back hundreds of years, with many examples of antique rosewood furniture being available for viewing in museums today. Some types of rosewood, such as Honduran rosewood, have an excellent resonance that makes them ideal for musical instruments like guitars, pianos and marimbas. 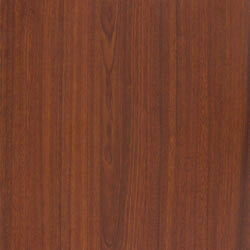 Rosewood is also used to make handles, flooring, billiard cues, chess pieces, etc. In fact, handles made of rosewood resist shrinkage and are long-lasting. Also, furniture made from rosewood can be left unfinished due to the rosewood’s natural color, lightly waxed, or heavily varnished and polished, as rosewood is able to take polish very well. This gives rosewood a more finished look. Due to the popularity and subsequent high demand for rosewood, many species of tree belonging to the genus Dalbergia, from which most rosewood in the western world is sourced are now listed as either endangered or vulnerable by the ‘Convention on International Trade in Endangered Species of Wild Fauna and Flora’ or simply known as CITES. Mahogany is also a type of tropical hardwood. The mahogany found in the market can be sourced from a variety of different trees that have the reddish-brown hue which is associated with traditional mahogany. However, genuine mahogany is sourced from three species of trees: the Swietenia mahagoni (L.) Jacq., S. macrophylla King, and S. humilis Zucc. These trees are native to the Central and South America. Due to the demand of mahogany, these trees are also grown on plantations located in Asia, specifically in India, Bangladesh, Indonesia and Fiji. Mahogany has a straight, fine and even grain, which is free of voids and pockets. The wood is known for its unique pink coloring, which tends to take on a deeper reddish-brown hue over time. Mahogany is quite easy to sand, cut and turn on a wood lathe. It is also known to be strong and durable. Mahogany trees tend to grow to huge sizes; this allows the harvesters to process the tree as one and produce large, continuous boards. This allows the woodworkers to create furniture from a single board without any seams or joints. In addition to furniture, mahogany is also used for boat building. This is due to the fact that mahogany is resistant to rot. Furthermore, mahogany is popularly used to make musical instruments, such as wooden drums, and acoustic and electric guitars. It is quite popular for the backs, sides and necks of acoustic guitars. This is due to the fact that mahogany has the ability to produce a very deep, warm tone, similar to maple or birch. In fact, many Martin D-15 and Gibson Les Paul models use mahogany. The sound of a mahogany guitar is considered to be dry, airy, woody, crispy and less complex with a great midrange, while, rosewood is considered to have a more wet shiny lush metallic sound with more sustain and sound. However, due to the high demand for mahogany, has led to overlogging of the trees. This has in turn led to CITES listing Swietenia mahagoni on its endangered list, while S. macrophylla King, and S. humilis Zucc are listed as vulnerable.